Liposuction, sometimes called “lipo” by our Kansas City patients, is a surgical fat removal procedure. It’s particularly well suited for women and men who are close to their goal weights but are bothered by isolated pockets of fat that cause certain areas of their bodies to appear disproportionate. These localized fat deposits are sometimes inherited traits, and therefore they do not respond to diet or exercise. Liposuction is often the most effective way to address them. Because it is a surgical procedure, liposuction requires incisions on or near the treatment area. If you’re curious about how liposuction can enhance your physique, schedule a consultation online, or give us a call at (913) 451-3722. Though it’s possible to undergo the procedure at any age, liposuction patients in Kansas City will see better results if their skin still has enough elasticity to achieve a smooth drape following fat removal. When skin is inelastic, as it can be in older patients, it may not redrape well. In these cases, additional skin tightening procedures are sometimes necessary. At your private surgical consultation during your first visit to our practice, you discuss your cosmetic goals with the surgeon who will perform your procedure. To determine whether liposuction is the appropriate approach to meet those goals, your surgeon asks a series of questions about your medical history, family history, and any allergies you might have. He or she provides a thorough explanation of the procedure and the potential risks and complications associated with liposuction. A complete physical examination to assess your skin tone and its elasticity, fat density, and fat distribution is also part of the consultation. Patients researching liposuction may be overwhelmed by the number of different techniques available today. The most common technique, which has a long track record of safety and effectiveness, is tumescent liposuction performed manually. This involves the surgeon inserting a thin tube, called a cannula, through small incisions and moving it back and forth to break up fatty tissue, which is then suctioned from the body. Additionally, we offer SlimLipo™, a laser-assisted liposuction technique that some patients prefer because it is less invasive and results in a shorter recovery period. It gets the best results for patients who are younger and whose skin retains most of its elasticity. We’ll recommend the treatment we feel best suits your needs. Before beginning the procedure, your surgeon marks the area of your body you want to target. Liposuction can be performed using general anesthesia or local anesthesia with sedation. The procedure begins with the surgeon injecting a solution that includes a mixture of diluted local anesthetic and epinephrine, which causes the constriction of blood vessels and helps minimize bleeding during the operation. The fatty tissue swells and becomes firm as it’s saturated, making it easier for the surgeon to dislodge and suction it through the cannula. Before completing the procedure, your surgeon ensures the area is evenly contoured and no lumpy areas remain. How do I know whether I’m a good candidate for liposuction? To facilitate successful healing, we recommend that our liposuction patients be nonsmokers who are in generally good health. Ideal liposuction candidates are adult men and women who are within 30% of their ideal weights and who have firm, elastic skin and good muscle tone. It’s important to remember that liposuction is not a treatment for obesity or cellulite, and it’s not a substitute for a healthy lifestyle. Following all of your doctor’s instructions before and after surgery is essential to a successful recovery. Once your surgery is completed, a compression garment or elastic bandage will cover treatment areas. These help control swelling. You’ll need someone to drive you to and from your surgery, as well as stay with you throughout the first night. Discomfort is common following liposuction, but a return to light everyday activities is possible as soon as you feel ready. Initial wound healing may take between 5 and 10 days, with swelling diminishing over several weeks. What are the long-term effects of liposuction? It may take several months for swelling to fully resolve and a year or more for incision lines to refine and fade. You will be encouraged to control your weight with a healthy lifestyle, as a significant weight gain will reverse your results. Will my new look last forever? Your new body contour should last as long as you maintain your weight and level of fitness. Though some loss of firmness is normal as we age, that loss should be minimal. One of the benefits of liposuction is that incisions are very small and most scars are barely perceptible. Our experienced surgeons also use incision techniques that minimize scarring. Yes. 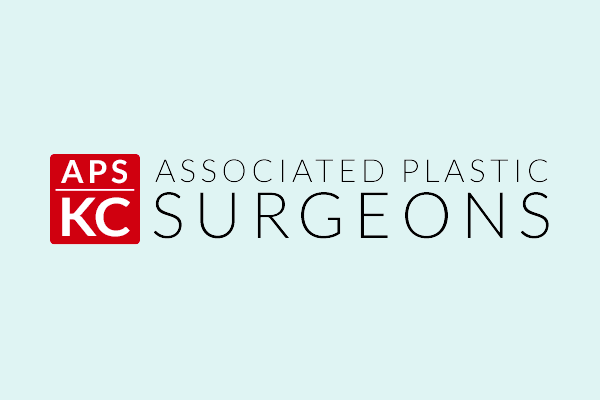 Our surgeons often use liposuction to enhance the results of other plastic surgery operations. Liposuction is normally used during tummy tuck surgery to remove excess fat and contour the hips and waist. We also frequently use it during other body contouring procedures, such as mommy makeover surgery, and even with facelift surgery to remove fat beneath the chin.